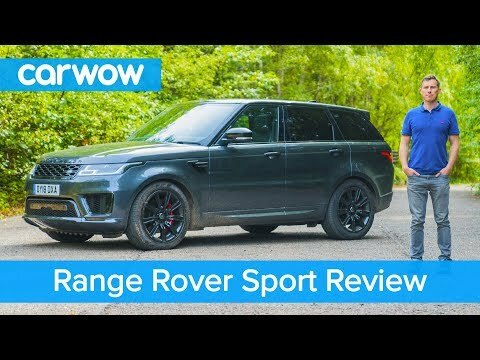 In sharp contrast to some curvaceous luxury SUVs, the 2018 Land Rover Range Rover Sport's square-edge styling conveys a message of solidity, ruggedness and pedigree fit for Royals and Rap stars alike. You can find less expensive and more reliable luxury-crossover SUVs out there, but none have the presence projected when arriving in a gleaming new Land Rover. If you're in the market for a luxury suv, this is the one you want. It's powerful engine and agile handling for such a big car is astounding. Overall it's stylish and well built. It drives well and feels safe. I just purchased the car and am pleased with it thus far. This purchase was made yesterday, I like that this car is a luxury vehicle. Jaguar Land Rover North America, LLC (Land Rover) is recalling certain 2018 Land Rover Range Rover, Land Rover Range Rover Sport and Land Rover Discovery vehicles. The Autonomous Emergency Braking (AEB) system may be disabled without warning the driver that the system is not functional. Land Rover will notify owners, and dealers will update the vehicle software, free of charge. The recall began October 17, 2018. Owners may contact Land Rover customer service at 1-800-637-6837, Option 9. Land Rover's number for this recall is N227.